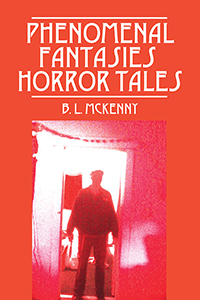 “Phenomenal Fantasies” is a collection of male-orientated expressed adult short-stories. They are mostly expressed in the American Northwest. The highlights of stories I have written goes as follows: “Fateful Death,” is about a couple who never really go out with each other but end up dying at the same time and in the same manner as if God had chosen their fate. “Drunk by Gin/Bitten by Jack,” is a Jack Frost story told in a surrealistic fashion in Washington State. “Filthy Pigs,” is about two immoral people who get turned into pigs by a wand and spell-book from Ireland. “Animosity,” is an adventure into the woods of the Northwest-Olympic-Mountain-Range where a man is chased and finds out Sasquatches really do exist. “Story About a Witch,” takes place on the East-Coast and is about a young man from Seattle back home to visit his parents and discovers the spiritual realm of a witch at a boarding house. “Upon Arachnid Hill,” takes place in Colorado and is about religious snake charmers that decide to go into a mine and prey with large poisonous spiders.